Dubai: The UAE indoor cricket team will take part in the New Zealand-Asia Cup tournament to be held in Singapore from Wednesday. The squad captained by Vikrant Shetty, who had also excelled for UAE team in outdoor cricket, is hoping to produce a creditable show. This international indoor tournament is contested by all the Asian teams such as India, Sri Lanka, Malaysia, UAE, hosts Singapore and New Zealand. UAE had played in the World Cup held in Dubai in 2017 in which Australians became champions with New Zealand finishing runners-up. New Zealand will be the favourites in the Singapore tournament. 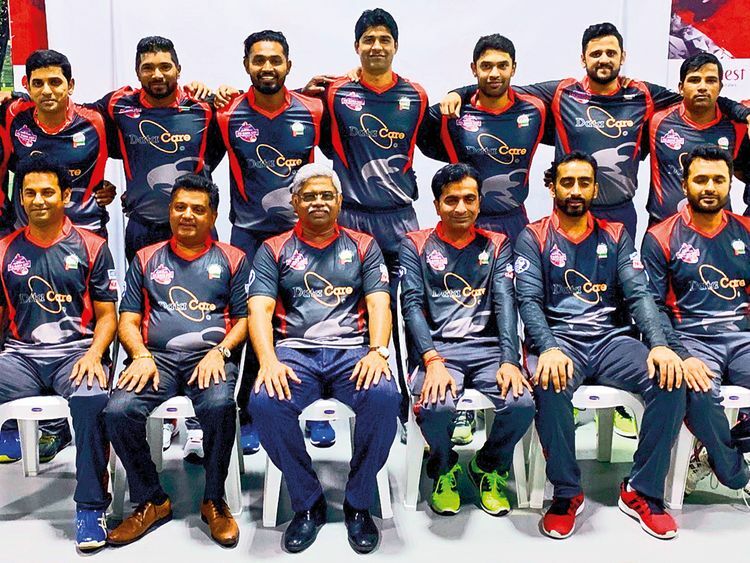 Emirates Cricket Board had handed the selection and management of the players to Insportz and hence the team will be officially called Insportz UAE team. The main sponsor of the team will be Data Care, while Nucaf and Ace OEL are support sponsors. Squad: Vikrant Shetty (captain), Saqib Nazir, Aaqib Malek, Nashwan Nasir, Isuru Umesh, Prashath Kumara, Dilisara Sasanka, Rana Dastagir, Ramveer Rai, Siddharth Puthran, Sameer Nayak, Hariharan Gurumurthy.